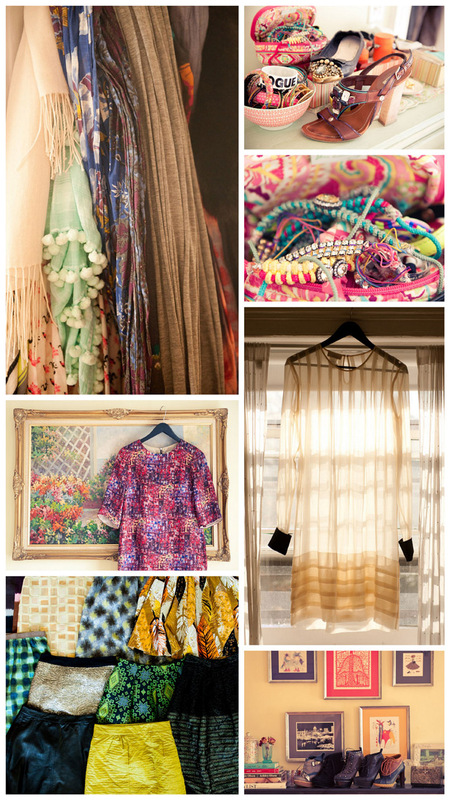 The Coveted provides a very inspiring peek into the closets of some of the industry's finest fashion editors, and I am swooning!!! I think Mary Kate Steinmiller (of Teen Vogue) is my fave of the bunch...I love all the bright colors, punchy patterns and sparkles. Looks like she also makes all those string bracelets herself...very similar to those chic camp-inspired bracelets I posted about a bit ago! Of course, I also love Bazaar's Joanna Hillman's sartorial collection...she can do no wrong in my book. So fun checking out these fashionistas' amazing clothing collections! I would certainly have fun in this closet! pretty colors with a vintage vibe!